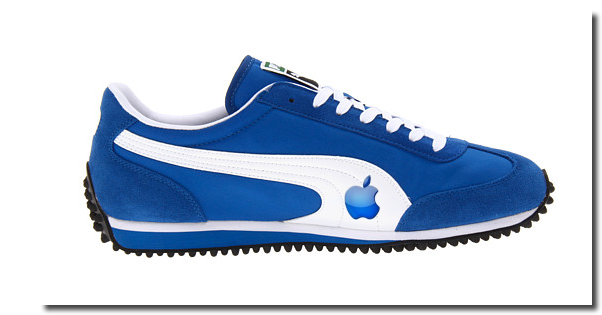 Apple hires Nike designer, possible iShoes on the way? Apple recently hired a designer from Nike who was rumoured to be heavily involved in FuelBand design, but it turns out the recent hire was not related to the FuelBand project at all. It turns out Ben Shaffer, Apple’s hire from Nike, instead contributed towards footwear innovation sparking speculation Apple may be working on a project related to footwear, possibly called the iShoe. Shaffer was in fact, at the time employed by Nike, working on a project called the Flyknit – a flagship ultra-light line of sneakers from Nike. The report that highlighted the association of Shaffer with footwear stated that if Apple wanted to take on an accessory like the FuelBand they would almost certainly start with stealing talent from Nike’s Digital Sport Group or a design firm like Astro. It continues to state that Shaffer served as the Innovation Kitchen’s Studio Director, which is actually in a completely different building to the FuelBand development. This firmly quashed any speculation Apple were looking to develop their own FuelBand by poaching Nike staff, and instead looking to develop the iShoe. An accessory like the iShoe would certainly compliment the rumoured iWatch Apple are working on, potentially as some sort of motion tracker, a feature Shaffer could be assisting on too. Apple have previously shown interest in devices such as smart shoes that notify users when they need replacing. The iShoe could also be used for motion tracking, health monitoring, or sport diagnostics, such as notifying a user how high they jumped, or how fast they are running. The acquisition of Shaffer has contributed to the confirmation the iWatch exists, and Apple are working extremely hard on replicating or at least building a device that challenges Nike FuelBand.